What has been around since the prehistoric era and has a queen as a leader? Without understanding the context, one might say the United Kingdom. However, surprisingly there is another species that has these societal traits – ants. 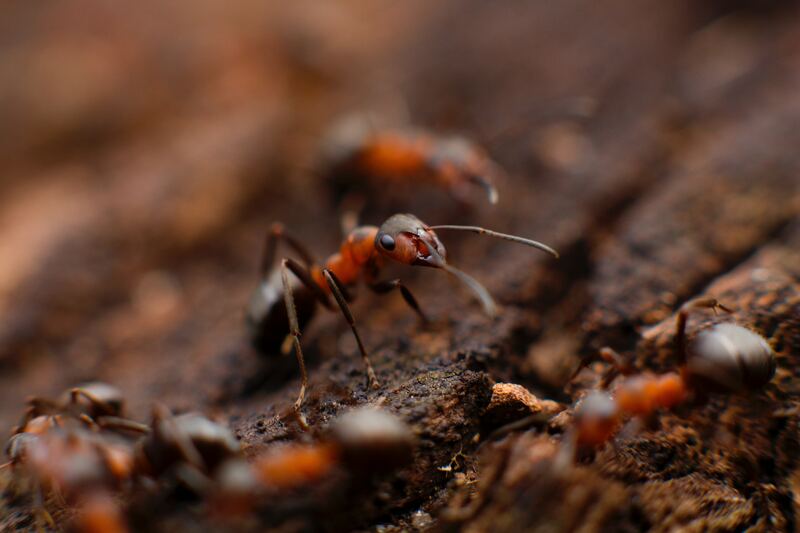 Ants have been around since dinosaurs roamed the earth. They are the only other species that farms other animals like humans raise cattle or pigs. They also invade other ant colonies and enslave their inhabitants, as humans have done for centuries. Even their colonies mimic human communities or countries, with a queen that ensures the survival of the colony and workers that keep the colony together. Ants are close relatives of bees and wasps. They are usually around an inch in size and have three clear body regions (head, thorax, and abdomen). Despite their small size, an ant can lift 20 times its own body weight. To put that into perspective – that is like a kindergartener being able to lift a car. Although these little guys have survived K/T extinction, which killed the dinosaurs as well as the ice age, most ants live for several weeks to years. Like most humans, ants have quite the sweet tooth. They are usually attracted to sweet or sticky food left around your home. However, when an ant is hungry it does not discriminate between sweet or salty remnants – food is food. Ants are social insects – they like to have an entourage. However, unlike human entourages that usually consist of three or four people, an ant’s entourage can consist of millions of other ants (talk about compensation). Ant entourages are called colonies. Colonies, like an entourage, has its main person – in the ants’ case, it is the queen. Then there are the followers, which are known as the workers. The queen and the workers are the roles for the female ants, while the males’ sole function is to mate with the queen and then die off. One might say it is a feminist utopia. Ant colonies can be found underground, in trees, or in ground-level mounds. Although there are more than 10,000 ant species around the world, nevertheless roughly 25 of the species infest homes regularly. A large number of ants live in areas like your kitchen or where food is located. An ant nest near your home. They can either look like a small pile of dirt outside or be located on the side of your walls. As with any infestation you can either chose to handle it yourself or with the help of a professional. Although doing it yourself may be cheaper, it can still cost you more in the long run due to a lack of understanding the extent or gravity of the infestation. In these cases, it is better to be safe than sorry. A professional can give you all the information you need to know about the infestation and help you understand the amount of damage these little creatures have caused. They also can provide you with options that will address the problem immediately and lower your risk of a repeat infestation. Ants love food, especially sweets, and they will go to any extent to get a hold of some yummy leftovers. I think we can all relate to that on some level. So keep your leftovers and food out the way, not only will this help you keep your roommate Jimmy from eating all of the leftover cookies you got the other day, but it will also keep pesky little ants from indulging in your goodies as well. When infestations happen in rental things can get tricking. Many times it is unclear whether the renter or the landlord handles the problem. Below is some basic information that will help you proactively prevent this uncertainty from happening in the future. Pest control is not cheap. Therefore it can be a difficult decision regarding who is financially responsible for it. However, in most cases, the landlord takes responsibility for servicing pest control. Leaving that obligation up to a temporary tenant would be unwise. How and When Should Tenants Notify a Landlord? The best way for a tenant to notify a landlord about an infestation is via your regular mode of communication. Do not put off contacting them because the problem could worsen (if it hasn’t already). The landlord must respond to your concern immediately, and failure to do so can lead to legal issues between the tenant and landlord. To avoid this conflict later down the road, there should be a clause within your rent agreement that address this issues (how many times there is pest maintenance, who responsible for what, etc.). Transparency and documentation is key to resolving an infestation and planning for any similar situation in the future. These little creatures have roamed the earth for millions of years, and by now they are pretty good at what they do. Therefore, it is your job to educate yourself and proactively clean your surroundings to prevent an infestation or other ones from occurring. They may be minuscule, but an ant problem can not only cost your leftovers but also your money.